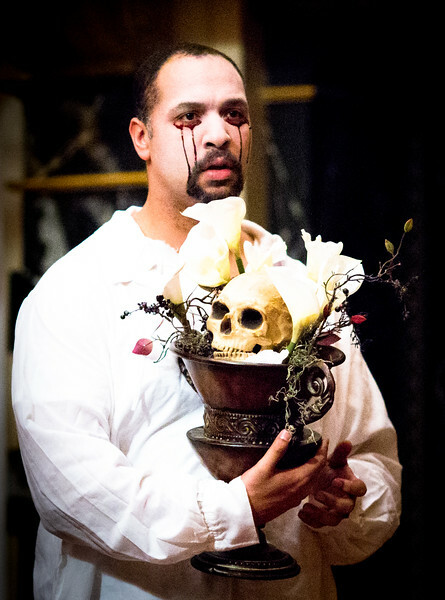 Tonight, hopefully, I will achieve a goal by seeing the fifth play in the American Shakespeare Center’s Renaissance Season, Daniel Webster’s The White Devil. And if this play is as good as the season’s other offerings, it should prove to be a good time to be had by all. By “all” I mean the audience AND the actors. This particular troupe seems to have gelled quite well (on stage at least as I am incapable of guessing what the behind the scenes situation is) bringing a wonderful sense of fun to The Taming of the Shrew (big shout out to Allison Glenzer for being such a fabulous Kate), Aphra Behn’s The Rover (love, love, love the play and particularly Lauren Ballard and John Harrell’s performances in this show xoxoxoxo), Every Man in His Humor (Patrick Midgley- you are soooo funny when you want to be), and Mother Bombie (not my favorite of the season but they do a good job with it). Michael Amendola who plays a bunch of parts throughout the season (as does everyone in the troupe), turns every part he “touches” into gold. His sense of humor is impeccable and I think he is perhaps the best comedic actor I have yet to see tread the Blackfriars recreated boards. And Nathan Crocker goes down smooth as an aged Scotch in every role he depicts. I was tardy in my report on this season and I apologize but you can still catch all the Ren Season over the next couple of weeks. Plus you will have your chance to catch the cable ASC Touring Company when they return home to roost on April 8th with Hamlet (taking a group of Tibetans with me to see that with me- should prove to be interesting), Doctor Faustus, Much Ado About Nothing and Wittenberg. Here is a great looking retreat for writers at one of my favorite Virginia resorts. February 27, 2015 Hot Springs, Va. – The Omni Homestead Resort is celebrating Virginia’s history of great writers with its inaugural Writers’ Weekend, Saturday, March 21 – Sunday, March 22. The thought-provoking program will feature acclaimed authors sharing their personal experiences and insights topped off with a delicious maple-themed dinner amid the beauty of the Allegheny Mountains. Lynn Seldon began writing while stationed in Germany as a young Army officer. His work has been published in more than 500 publications including Southern Living, TrailBlazer, Atlanta Journal-Constitution, Charleston Post & Courier and more. Additionally, Seldon has published a half-dozen travel books and his first novel,Virginia’s Ring, was published in 2014. Seldon will lead a Writer’s Session titled “Pat Conroy, Crowdfunding & CreateSpace: How Virginia’s Ring Rang Up Sales” on Saturday at 11 a.m. Learn about the elements of mystery writing from acclaimed writer Mollie Cox Bryan. Author of the Cumberland Creek Scrapbooking Mysteries, the first of which was nominated for an Agatha Award for Best First Novel of 2012, Bryan will lead a Writer’s Session titled “Adding Murder to Your Resume” on Saturday at 10 a.m.
Kendra Bailey Morris is a food writer, culinary instructor and cooking show host who has been featured in Better Homes and Gardens, Garden and Gun, Taste of the South and Richmond Times Dispatch. She also served as a judge for the James Beard Awards and authored The Southern Slow Cooker: Big Flavor, Low-Fuss Recipes for Comfort Food Classics. Morris will lead a culinary demonstration at noon on Saturday where she will share valuable tips, tricks, and recipes. She will also showcase her delectable Slow Cooker Apple Cider Pork BBQ Sandwiches with Creamy Cider Slaw. Beau Beasley‘s Fly Fishing Virginia: A No Nonsense Guide to Top Waters won the prestigious Excellence-in-Craft Award in 2009. He is also the author of Fly Fishing the Mid-Atlantic and an editor at Eastern Fly Fishing, Fly Fish America, and Southern Trout. Beasley will be leading a Writer’s Session titled “Effect Fly Patterns for the Old Dominion” on Sunday at 10 a.m.
Special rates for the Writers’ Weekend start at $255 for one night, or $230 for two nights. The weekend’s full schedule can be viewed online here. For more information or to make reservations at The Omni Homestead Resort, please contact (800) 838-1766 or visitwww.thehomestead.com.